Mindfulness practice continues to gain popularity as a coping strategy to help children deal with problems ranging from everyday stress to severe trauma. The dictionary defines mindfulness as “a mental state achieved by focusing one’s awareness on the present moment, while calmly acknowledging and accepting one’s feelings, thoughts, and bodily sensations.” Through mindfulness practice children learn to nurture a sense of inner peace that leads them to experience a general sense of calm. So how do we get kids to practice mindfulness? For starters, you have to make it fun. 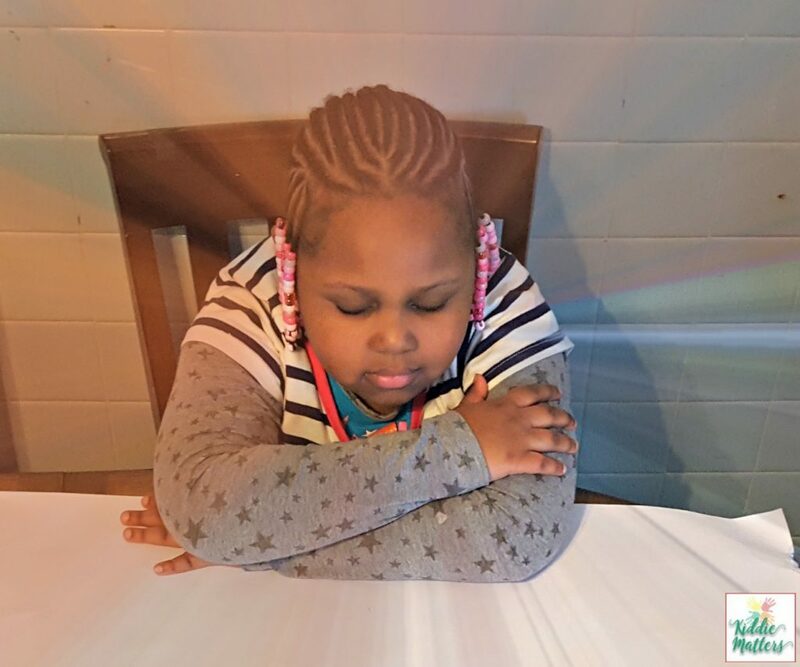 Kids likely won’t respond well if their mindfulness practice consists of them sitting still, eyes closed, attempting to clear their minds for twenty minutes. Most adults can hardly do this! 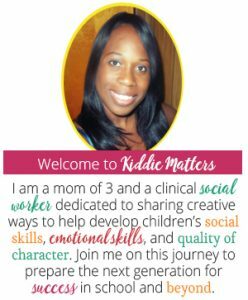 One creative way to introduce mindfulness practice to kids is through the use of art activities. Many art activities requires focus and attention to what you’re doing in the present moment. Children are able to relax as they put their worries and fears aside and focus exclusively on the task at hand. 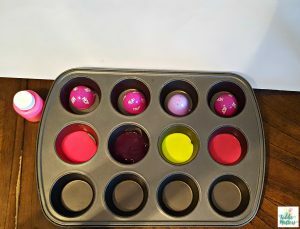 Today I’m going to share with you a plastic Easter egg painting activity that young children can use as a mindfulness practice. First, you will need some relaxing and soothing music. Something with only instrumentals and no words. Have kids sit in a calm, quiet place and listen to the music for two minutes or so (No longer than five minutes). Tell the kids to focus on what pictures come to mind as they listen to the music. What thoughts did you have while listening to the song? Did you imagine a story while listening to the song? What happened in the story? What colors did you see when you listened to the song? How did the song make you feel? Did it make you happy, calm, sad, etc. 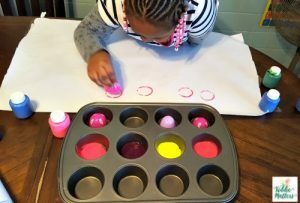 Next, bring out the art supplies which includes plastic Easter eggs, paint, muffin tins (paper plates will work too), and paper. When your supplies are in order, play the song again while kids paint with the plastic Easter eggs. Instruct them to paint the emotions and feelings the song makes them feel inside. Once they complete their artwork, let the kids explain to you all the feelings represented in their painting. When they are done painting, ask the kids if they feel relaxed after completing the activity? Is it something they would do to calm down when they are upset? 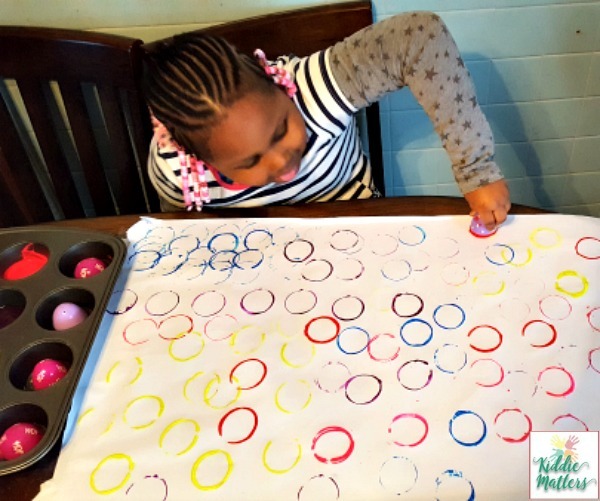 This plastic Easter egg mindfulness activity is an excellent way to begin discussing coping strategies with kids!